The pinstripe design has been a fashion favorite for men's attire since bankers wore pinstriped trousers on London's Savile Row! 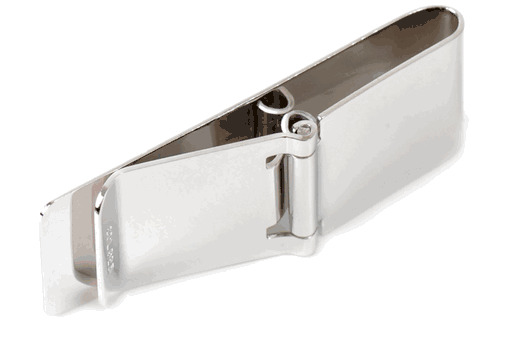 It will never go out of style, and adds sophisticated interest to accessories today! 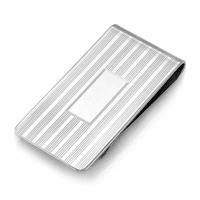 This polished sterling silver money clip features rows of pinstripes that frame a central polished engraving area, where you can add a name, initials or inscription at no extra charge! 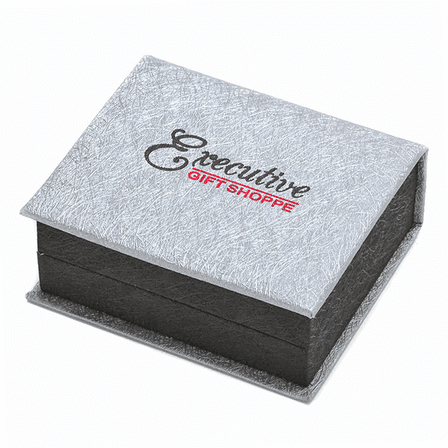 The money clip is hinged to open and close easily to add up to 20 folded bills, and comes in a jewelry gift box! 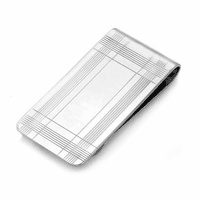 I want to purchase the sterling silver money clip SMC-752 for my husband. What is the best font size to select to fill in the blank space for initials? Thank you. Merchant Response:Hi Norman, We're so sorry about that. We're going to email you about this. We'll be happy to send a replacement free of charge. 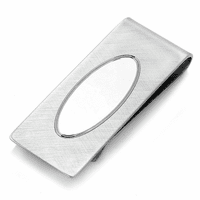 You can go with the same money clip or a different one. 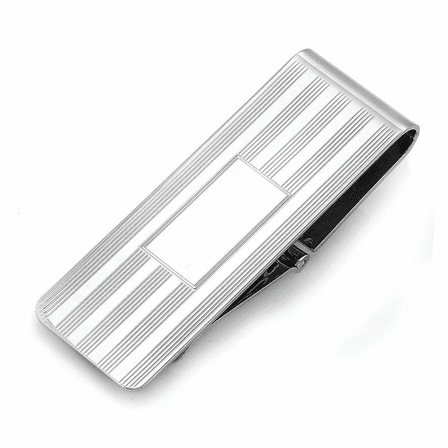 We've never had a problem with tarnishing before and we want to make sure you end up with a money clip you're happy with..